A newsletter is one of the best ways to keep your name in front of the eyes of your clients, your associates, and others that may be in your target market. A newsletter allows you to show them that you are more than just someone who is looking for projects to work on. And a newsletter shows that you are willing to pass on information that will help them run their own businesses. Newsletters are also a good complement to other forms of internet marketing such as emails, business websites, blogging, social media, etc. Think about how many newsletters you read each week or month. Do you enjoy getting and reading them? Do you find the articles and other information in them helpful? Do you know who or what company produces them? Of course, you do! Here are tips on how to create a newsletter for your small business. Newsletters can be produced in several formats. For businesses, the most economical and most readily acceptable newsletter formats are plain text emails, HTML emails, HTML pages on your website, PDFs, and printed documents. Each newsletter format has its advantages and disadvantages. Deciding which newsletter format to use and how frequently you publish your newsletter may be a process of trial and error. For instance, many years ago our newsletter started as a monthly text-only email. It only took about two hours a month to put together. As time went on, plain text was no longer sufficient - users expected to see images, graphics, and even video in a newsletter. So we tried an HTML newsletter design. These newsletters turned out very visually appealing but seemed to take a long time to produce, about 4-5 hours each month. But it still didn't seem to be exactly what our readers or we fully enjoyed reading. Our current newsletter format is PDF and feedback has shown that everyone loves the new format, which can be read on desktop or mobile devices. It does take quite a bit of time to produce but, when you enjoy being creative, it doesn't seem all that bad. We use MS Publisher to design the newsletter and save it in PDF format. You can also create PDF documents from MS Word or from other newsletter creation tools such as Adobe InDesign. Many people considering creating a newsletter for their small business ask what newsletter content should be included. Again, your target audience will be the main factor that will determine what you want to include. But no matter who your audience is, be sure to make your newsletter content timely. If a world event may affect your industry, be sure to include newsletter content that shows the various possible points of view. Another question that many readers (and prospective newsletter editors) ask is, "where do you find your newsletter content?" Most of the content in my newsletter finds me. I do write newsletter content myself but also include information from other writers and sources. Once you start publishing a newsletter, in addition to posting it on your website or emailing it to your customer list you can also submit it to Ezine directories. Most of these directories will ask you if you accept newsletter content. By answering yes, writers will submit their articles for your newsletter. Another way of finding newsletter content is to read other newsletters and blogs that are similar to yours or that target similar markets. If you spot a particular article, blog or other newsletter content that you would like to use, contact the newsletter editor or the author of the article and ask to use it before you go ahead and include it in your newsletter. Editors will appreciate that you are actually reading their newsletter content and authors usually like to have copies of publications that their articles appear in and may request a copy or subscribe to your newsletter. Once you have approached an author, you will probably be added to their mailing list, and they will send you future articles that are appropriate for your newsletter. You can also pick up articles from various websites that collect articles strictly for the purpose of offering them as newsletter content. and of course, information about what your business offers. 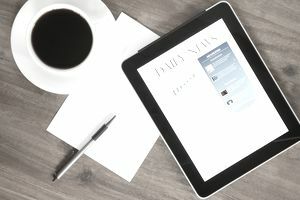 Some of the above suggestions for newsletter content will come to you through emails, blogs, or just surfing the 'Net. Be sure to set aside a folder in your email program and an area in your Favorites list in your browser for anything that may seem like good newsletter content. Whether or not you choose to include advertising in your newsletter is your own choice but don't overdo it. It is a way to make a few bucks to offset your time but ask yourself one question, "How much advertising do I like to see in a newsletter?" Also, learn by example. What is it about other newsletters that you receive that you like and dislike? Just remember to think about your readers when deciding what to include in your newsletter. Ask them for feedback and what they would like to see included in upcoming issues. Producing a successful newsletter is not all that difficult, but you must be sure to make time to do it on a regular basis. Include your article archives on your website and be sure to have a sign-up email address form for your visitors. Put a link to your newsletter in the signature lines you use in your emails. If you write articles, be sure to add a short sentence about your newsletter in the contact information that you include at the end. Invite your newsletter readers to pass on each and every issue of your newsletter to their friends and associates. If allowed, announce that the current issue of your newsletter is available on any email discussion lists that you are on. Don't include the newsletter, just include instructions on how people can get it and how they can sign up to receive it automatically. Exchange ads or information with other newsletter publishers. Be sure to submit your newsletter to various submission sites such as the ones I've mentioned above. No matter how you choose to format your newsletter or what you choose to include in it, newsletters are one of the best ways to showcase your business, build credibility as an expert in your field, and stay in touch with your contacts.